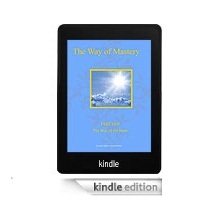 Here it is: the long-awaited Kindle edition of Book One of the three-volume book, The Way of Mastery: The Way of the Heart. The Way of the Heart Kindle edition is perfectly portable ~ take it with you for inspiration wherever you go. The profoundly rich 12 lessons of The Way of the Heart are the first of 35 formal lessons given by Jeshua ben Joseph during the years 1995-1997. May the deep spiritual insight, knowledge, and lovingkindness contained in this volume guide and inspire you toward living a life of Unconditional Love. 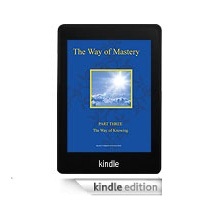 Here it is: the long-awaited Kindle edition of the three-volume book, The Way of Mastery. The Kindle edition of Book Two: The Way of Transformation is perfectly portable, so you can take the inspiration with you wherever you go! The profound 12 lessons of The Way of Transformation are lessons 13-24 of the 35 total formal lessons given by Jeshua ben Joseph during the years 1995-1997. May the deep spiritual insight, knowledge, and lovingkindness contained in this volume guide and inspire you toward choosing to be the Voice for Love. Here it is: the long-awaited Kindle edition of the three-volume book, The Way of Mastery. The Kindle edition of Book Three: The Way of Knowing is perfectly portable, so you can take the inspiration with you wherever you go! The profound 11 lessons of The Way of Knowing are lessons 25-35 of the 35 total formal lessons given by Jeshua ben Joseph during the years 1995-1997. These final lessons build on The Way of the Heart and The Way of Transformation, for a culmination of that Way which takes one into Perfect Knowing. Here no feeling is obstructed; and the mind is liberated to such a degree that it knows that as long as it chooses Love, and follows the quiet voice within, it cannot help but further the awakening of every one and every thing.